You might not believe this because it flies in the face of everything that you have been told over the past 50 or so years but the best way to keep from getting fat, is to eat more fat. Don’t shake your head, it’s true. One of the most powerful fat burning foods on earth is the fat from coconuts, which we commonly call coconut oil. A calorie is not a calorie. All sorts of foods and nutrients go through very different metabolic pathways within the body. Don’t believe it? Then why is it you feel hungry about 2 hours after eating a huge salad but you can eat a huge turkey dinner and not feel hungry for hours afterwards? These different types of foods can have a dramatic, direct effect on your hormones; not to mention your overall health. Some metabolic pathways are simply much more proficient than others. 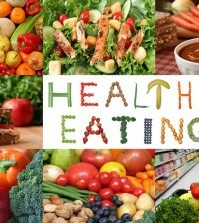 Another fact is that some foods simply need more energy to digest them than other types of foods require. This means that a calorie from coconut oil is not the same as a calorie from corn oil. 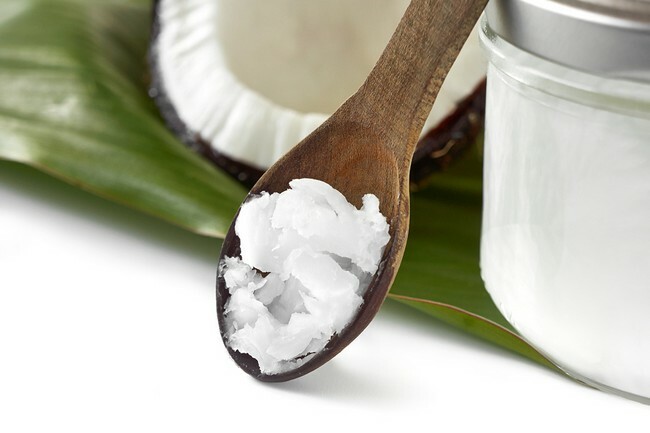 Scientifically, it works like this; the way coconut oil’s potential to burn more fat is due to its high content of MCFA’s (medium chain fatty acids). This is kind of “good” saturated fat is more easily processed by your liver and can quickly be turned into almost instant energy for the body’s use. When you compare these to what are called long chain fatty acids, MCFA’s keep you feeling much fuller for a longer period of time. Once set aside for its saturated fat content, coconut oil is being reborn as a healthy fat. Although it’s not something you want to drink by the glassful, adding some to your diet is a healthy idea whose time has come. When you consider that the people of other nations that consume large amounts of coconut products, such as the people of Sri Lanka, have much lower rates of heart disease than most Americans. Research suggests that coconut oil can improve your cholesterol numbers by ramping up the enzymes in the body that actually break down fat. 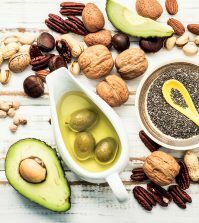 Medium chain fats are more easily used by the liver and turned into energy, rather than be stored on your hips as fat, as long as you still watch your overall calorie intake. 2 tablespoons of coconut oil per day can be a super healthy addition to your diet when you replace them with less healthy calories. The main problem with low fat and non-fat foods is that they usually have tons of flavoring additives or sugar to make up for what they lack in taste. Additives such as these make your blood sugar levels spike like crazy and trigger an inflammatory response from your immune system, which could lead to heart disease and metabolic disorder. 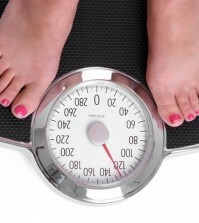 Find out 10 surprising reasons why you can’t lose weight. But forgetting about the flavor and fullness aspect, fats such as those found in palm kernel oil and coconut oil are essential for your body to absorb fat soluble vitamins and minerals including vitamin D. When you add fat as a part of your meal, it slows down the absorption so you can go longer without feeling hungry. Also, the lauric acid in coconut oil has a very high level of antioxidants, which help to kill off those cell damaging free radicals that can accelerate aging and chronic disease. Coconut oil is also a terrific moisturizer for the skin and hair. Read more about 17 ways to use coconut oil for your beauty. Look for coconut oil that states it’s virgin or extra virgin, which means it was extracted using a cold press. This leaves many of the antioxidants in place along with leaving a stronger coconut flavor and smell behind. The Healthy Home Economist recommends that you consume coconut oil about 20 minutes before each meal. Persons weighting between 90 and 130 should take 1 tablespoon before each meal (3 tablespoons per day), and those who weigh between 131 and 180 should consume 1.5 tablespoons before each meal, for a total of 4.5 tablespoons every day. Persons who weight over 180 pounds should take 2 tablespoons of coconut oil before each meal which would be 6 tablespoons daily. If you aren’t a fan of the taste of coconut, you can look for refined coconut oil. This oil has been further processed to leave it with a more neutral smell and taste. It can also withstand higher temperatures, so it’s perfect for cooking eggs or stir fry because, well, not everyone wants their food to smell like suntan lotion. See also other uses for coconut.